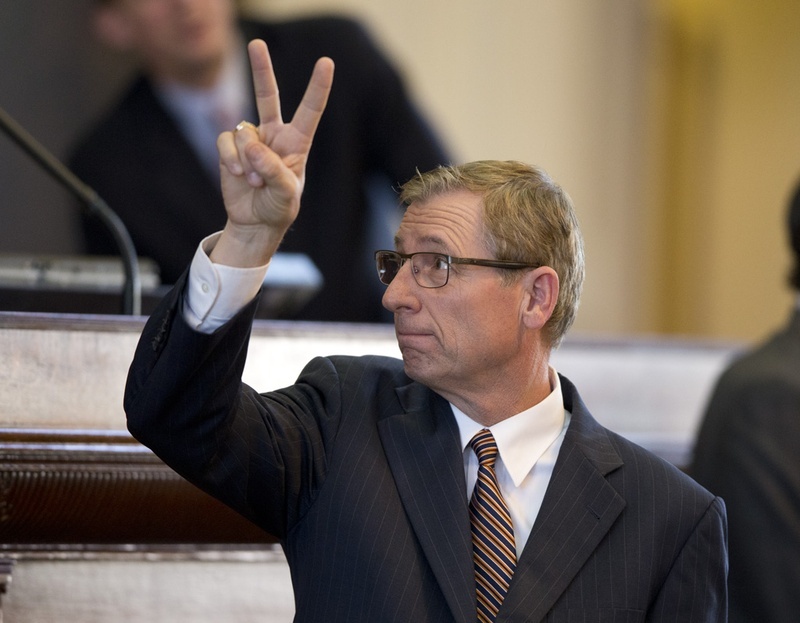 Should Texans have the same degree of confidence in the integrity of their elections as residents of New Hampshire?!? This afternoon, the Texas Secretary of state held public hearings on certification for two types of electronic voting machines. It was a flashpoint for concerns from activists around Texas over questions that have recently emerged over the reliability of said machines. Literally zero people testified in favor of electronic machines. Speakers universally spoke in favor of some form of paper balloting. 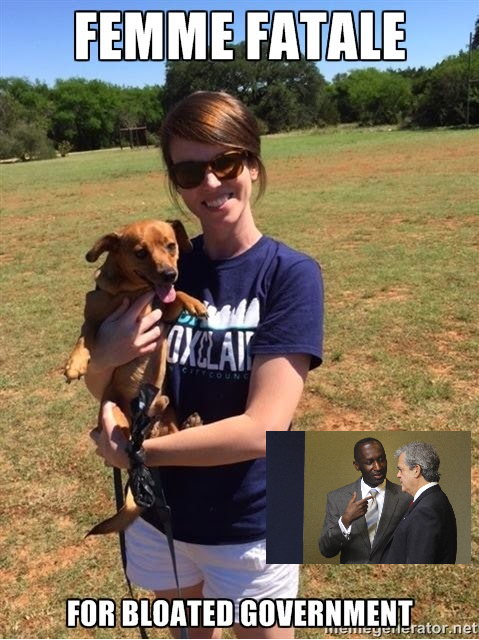 As Katie Brewer of Texans for Accountable government explained: "I don't write code, but I can count paper ballots." Speakers pointed out that, in the event paper ballots became the standard, people would come out of the woodworks to help count them. The most compelling speaker was Kurt Hyde, a Denton county activist who "began the paper trail movement in 1986." As Hyde continued, "nothing in that time has changed my mind." Hyde detailed how counting paper ballots can be accomplished in a timely manner. Hyde also pointed out that New Hampshire has had a paper trail law on the books since 1994. The New Hampshire law got us thinking. Obviously, we just came through a presidential primary where both parties' nomination contests featured accusation of election fraud. But we didn't remember any accusations related to the contest in New Hampshire. Google confirmed it. A cast vote record is not a ballot image. Poll watchers were kicked out of the election office in Dallas county on the night of the primary. The Sec'y of state's office has granted numerous waivers related to election integrity matters. While we didn't catch the CV of the woman who conducted the hearing, it is worth pointing out that nobody from the Secretary of State's election division showed up. Bottom Line: Paper ballots aren't perfect, but they'd be a heck of a lot better than the mess in which we find ourselves today. Is there anything Austin's NIMBY's (and Code department) won't ruin?!? The secret theater in East Austin was just what the doctor had ordered. Beau Reichert, who has Asperger’s syndrome and was struggling to make friends, moved to Austin nine years ago to build an art studio so he could meet people in a comfortable setting. His doctor thought it would help with the isolation Reichert experienced as a result of his developmental disorder that is characterized by difficulties in social interactions. The studio never got built. But Reichert, a 39-year-old artist, did plenty of work on the dilapidated condition of the vast 2-acre lot he had bought. He started using the main building as his home and, as a form of stress relief, began tinkering with an outdoor movie screen in his backyard. When neighbors stopped by to compliment the work he’d done on the home, Reichert would show them his outdoor movie theater. Soon, they were coming to the theater every Saturday night. As word got out about the theater, Reichert became well-known in the Austin arts scene and eventually played host to an unofficial South By Southwest neighborhood party, charity events for nonprofit art groups, weddings and even a few memorial viewings. For a few years, Reichert said, he was having the time of his life. But the future of the secret theater is now up in the air. This year, Reichert began hearing complaints from neighbors in a subdivision adjacent to his backyard. Since March, Austin police have received 10 calls for noise complaints at his home. But Reichert says he has never been issued a citation and that these are “fictitious complaints” called in anonymously by neighbors who moved in recently and are unaccustomed to living in a neighborhood full of artists and creative types. 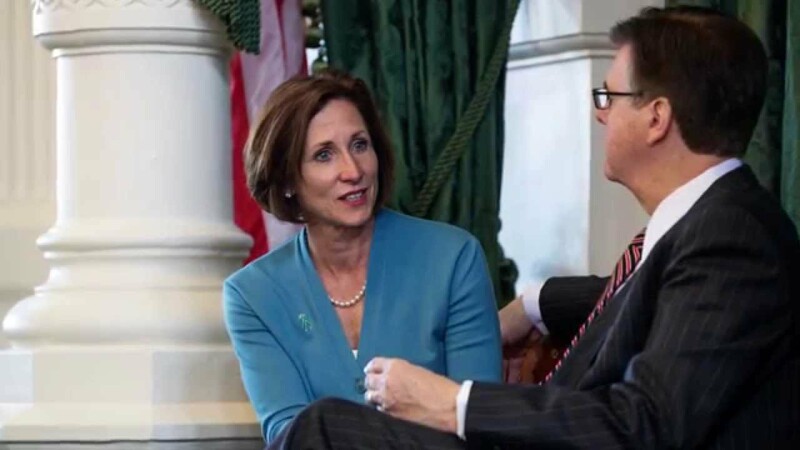 Recently, anonymous complaints also started coming in to the Austin Code Department that accused Reichert of running an illegal business out of a residential home in violation of the city’s land use rules. Reichert said the theater is not a business because he doesn’t charge for events. People often make donations because they know how much he spends to host the events, Reichert said, but he doesn’t set a price. “This is not a business model; this is a community,” he said. But after another complaint on the Fourth of July, the Code Department executed a search warrant on Reichert’s property and found several violations, including one for a gazebo without a permit in his backyard, another for the “movie theater wall” and one for not keeping the property in sanitary condition, due to overgrown grass from gardens he’s created. Since July, Reichert said he has desperately tried to appeal and address the violations. A lawyer representing him said he’s spent an estimated $250,000 to comply with the city code. Reichert estimates that he’d have to pay several hundred thousand dollars more and that it would take years to obtain his permits because he would have to rezone his property. Even then, he thinks those who take issue with his theater wouldn’t let up. Everyone to his brother.' "
Last fall, Angel Seng, owner of Donut Taco Palace 1 off Highway 290 in southwest Austin, gained thousands of new fans after a popular sports website told the world about her signature Longhorn Donut. One look at the yeast-and-glaze concoction that resembles the Hook ‘Em Horns hand gesture and you can understand why fans gobble it up. But if you were thinking of celebrating the start of football season with a dozen, think again. The University of Texas has found some holes in Seng’s design. Last month, Seng received a letter sent on behalf of the university citing a violation of trademark rights in relation to the Longhorn Donut and requesting that, when it comes to selling them, Seng yeast and desist. The letter, dated July 19 and sent from law firm Pirkey Barber, which represents the University of Texas in trademark and unfair competition matters, included a photo of Seng’s Longhorn Donut and an explanation that it violates UT’s trademarked “LONGHORN Marks,” which include the words “longhorn” and “longhorns” and the Hook ‘Em hand symbol. Seng first attempted a hand-gesture doughnut years ago by customer request. She spent two years perfecting the technique and now sells a variety of hand-gesture doughnuts, including a peace sign, an “I love you” sign and a thumbs up (so far she’s received no complaints from the Aggies). She sells a limited number of various hand-gesture doughnuts in the shop Fridays, Saturdays and Sundays. Seng, 36, was born in Cambodia and moved to the United States in 1997. She was running a salon in Boston in 2006 when a family member told her that doughnuts do well in Texas, so she hopped a flight to Austin and called every doughnut shop in town, hoping to strike a sweet deal. On her final call, to the former Donut Palace at 5446 W. Highway 290, she learned the owner was ready to sell. She purchased the shop, stuck the word “taco” into the name and the rest was history. These days, she puts her brother and her dad to work behind the counter and oversees a tight, small staff, some of whom arrive at 1:30 a.m. so that everything is ready when the first customers arrive at 5 a.m. There are two other Donut Taco Palace locations in the Austin area, but they are no longer affiliated. They did; read the whole thing here. Revelation 11:15-19 -- Hallelujah, He Reigns!!! Then the temple of God was opened in heaven, and the ark of His covenant was seen in His temple. And there were lightnings, noises, thunderings, an earthquake, and great hail." 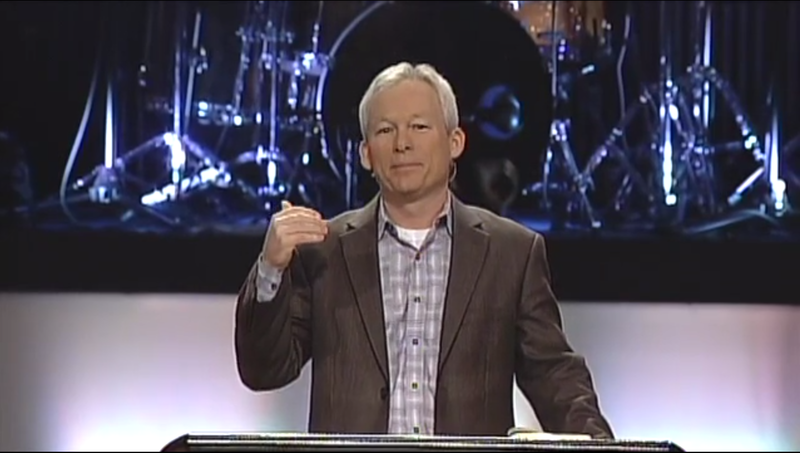 Hallelujah, He Reigns - Dr. Danny Forshee - February 22, 2015 from Great Hills Baptist Church on Vimeo. God temporarily allows Satan to reign on Earth. Falling on your face is the pre-eminent form of Worship in the Bible. Satan always 'rules' with murderous intention. The preeminent God reigns on their puny 'gods' and it makes them mad. First word out of the mouths of the 24 elders is thanks. Specifically mentions the arc of the covenant. Our sin has to be judged; the only question is whether we allow Jesus to bear it or if we choose to bear it ourselves. There are people reading this right now who will allow themselves to go to hell because they refuse to swallow their pride and humble themselves before God. Author's Note: If you think this statement *might* apply to you, this statement applies to YOU. There's only one way to get to Heaven and that's through Jesus!!! Jesus is the culmination of all those Jewish prophesies in the Old Testament. "I'm vocal, but I'm friendly." I’m excited to announce that I am officially the ONLY candidate challenging the incumbent District 7 City Councilmember. This is great news for our campaign! We will not need to head into a runoff and we will not need to compare ourselves to other candidates. Voters will have two choices and I am confident that our message will resonate with the majority of District 7 residents. 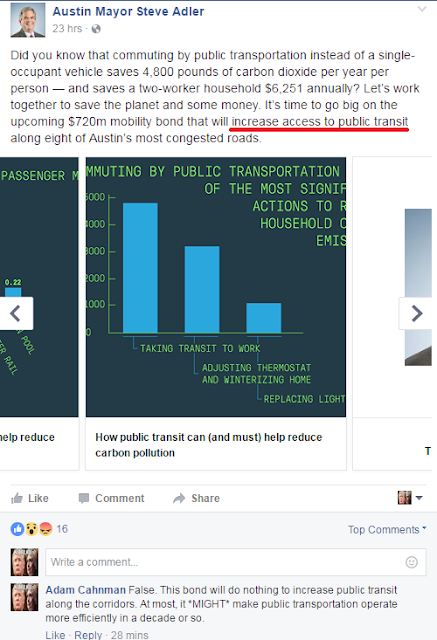 Maintaining the status quo is not enough to truly address the transportation and affordability concerns of the average Austinite. It’s time for a change down at City Hall and we can get there with YOUR help! Thank you to everyone who has been spreading the word about this campaign. I have been going door to door speaking with voters daily since July. 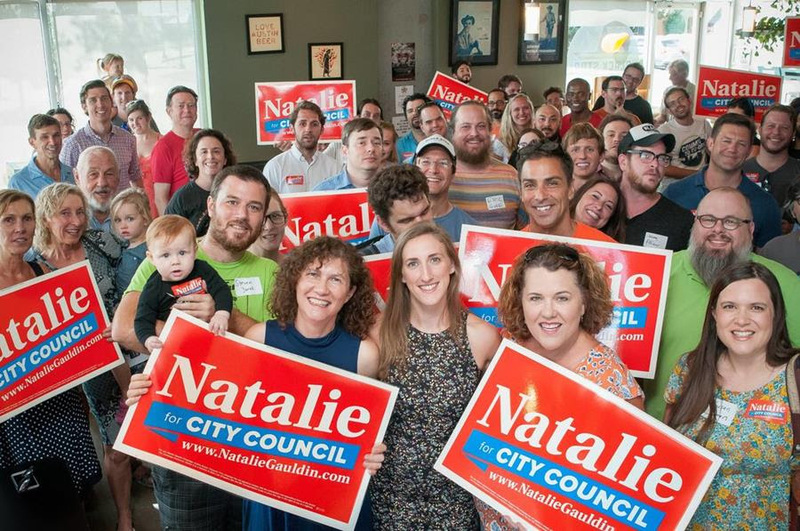 In that time, I’ve had countless people mention seeing the yard signs out in the area or having spoken with their supportive friends. I really appreciate you helping to give me a head start on earning their votes. Whether you choose to participate in the campaign by block-walking in the area or by making a contribution to the campaign, we thank you for your support. By joining together in this effort, we are confident we can continue to move towards a more affordable Austin with transportation options that work for everyone. Make sure to stay tuned for exciting updates on social media and our website over the next few weeks. We can't find a link to the full newsletter, but you can sign up to receive e-mails for yourself here. The city of Austin's "Chief Equity Officer"
"Professing to be wise, they became fools,"
Austin residents got their first look at the person who will be the city’s first-ever Chief Equity Officer during a town hall event Thursday night at the Palmer Events Center. The chief equity officer, a position newly created by the City Council, will head an office focused on identifying gaps and disparities in services and programs in the city, as well as help create ways for city departments to address those needs. The position will also help community groups work with the city to ensure equal access to city programs and services. At the event attended by about 100 people, including Council Members Delia Garza and Kathie Tovo, the three finalists for the position were given 10 minutes to make opening remarks to the audience and then answered questions for 15 minutes. The city initially announced four finalists for the position, but one candidate, Parisa Fatehi-Weeks, withdrew her application before the town hall, the city said. The three finalists are: Veronica Briseño Lara, director of the small minority business resources department at the City of Austin; Brion Oaks, vice president of health equity at the Southwest Affiliate of the American Heart Association; and Kazique Prince, a senior policy advisor and education coordinator for Mayor Steve Adler. The event was the first time the community at large heard from the candidates, though the consulting group that helped the city with recruiting for the position had sought out community input during earlier stages in the search. We don't remember the source, but we vaguely recall hearing scuttlebutt that the fix is in and that Adler's guy is going to get the position. That would render this entire 'search process' an expensive smokescreen. Obviously, that would be consistent with Adler's m.o. Equally obvious: Whatever disparities may or may not exist in Austin's municipal government won't be solved by adding another layer of bureaucracy at a six figure annual salary. Despite a report from Hill County’s electronic voting machine vendor identifying errors in the county’s March 1st Republican Primary, the activist who originally identified the problem is saying there are still more questions than answers. Worse, county officials have become uncooperative. Aaron Harris, an activist out of Tarrant County affiliated with Direct Action Texas, filed a complaint with the Secretary of State in July pointing out that Hill County reported in excess of 1700 more votes than voters in the March primary. The complaint was immediately referred to the Attorney General’s office for a criminal investigation that is ongoing. Last week, Hill County’s electronic voting machine vendor, ES&S, released a memo identifying two major errors that contributed to the additional votes. The vendor reported that a hard drive was not cleared before votes were tallied and this caused absentee ballots and early voting paper ballots to be double or triple counted. Voters should continue to focus on Hill County GOP Chairman Will Orr, who certified the election despite massive discrepancies. It was Orr’s responsibility to review the results and certify their accuracy. It is shocking that he appears to have missed a nearly 2000 vote discrepancy. Orr must be held accountable for his actions. His resignation would be a step in the right direction. The Attorney General’s investigation will continue, and any person who is found guilty of voter fraud should be punished to the maximum extent of the law. But even if the Hill County result is merely due to incompetence and a failure of various election officials to do their duty, the cause of these problems must be identified and Texans must be supplied with accurate results. To not clear up these errors simply invites voter fraud in future elections. Read the whole thing here; contact the Hill County GOP here or here. Sigmund Freud is rumored to have once said "sometimes a cigar is just a cigar." We thought of that alleged quote during this morning's meeting of the UT Board of Regents' technology committee. No matter how corrupt the other financial activities of the institution in question, sometimes an effort to commercialize research performed on university campuses is just an effort to commercialize research performed on a university campus. The UT Horizon fund is a $50 million appropriation designed to provide seed funding to bring to market initiatives developed at UT System institutions. We've documented their expenditures here. As we explained last week, we also have a separate open records request related to the Horizon fund working it's way through the Attorney General process. During this morning's update, Technology committee chairman Wallace Hall called the Horizon fund a "cost-effective" way to bring technological developments developed at system institutions to market. It's actually not a crazy point to make. If $100 to $200k of seed funding from the university can get a development away from the university bureaucrats and into the private sector, that's a small price to pay. Here's the thing: This activity sounds an awful lot like having a governmental entity pick winners and losers. In a way, it reminds us of Rick Perry's infamous Texas Enterprise Fund. Obviously, that's not something one should support. But here's the other thing: The difference with the Texas Enterprise Fund is that, technically, the money going in 'belongs' to the university, not the state. If the university were to cease this activity, the university still gets to keep the money. And we'd rather have them investing in something that could be useful than hiring a bunch of 'diversity' related bureaucrats. Obviously, higher education funding is deeply messed up. Equally obvious, the University of Texas system has too much money. In the event that higher ed/UT funding undergoes deeper structural reforms, activities like the Horizon fund should be on the table. Furthermore, the Horizon fund could be a piece of leverage to make the university negotiate in good faith over tuition next session. But as long as the current system remains in place, there are far worse ways to spend the money. Bottom Line: UT's endowment is somewhere around $25 billion. The Horizon fund is a max of $50 million. If the university wants to use one tenth of one percent of its resources in an attempt to accomplish something useful, we have bigger fish to fry. We had no idea they were pushing for this, but sign us up! 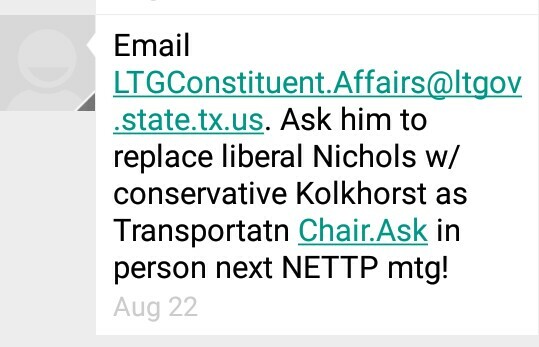 Texans Uniting for Reform and Freedom (TURF) is the best transportation group in the state; according to their 2015 scorecard, Kolkhorst got an A+ on transportation issues last session while Nichols got an F.
We're not super familiar with Kolkhorst's record on all transportation issues, but we know she's really good on toll roads (and those are the biggest scam of the whole lot). This could also only help any potential Uber/Lyft legislation that might emerge. At last Thursday's council meeting, Don Zimmerman made a completely reasonable comment. That didn't stop the phony outrage machine. The Travis County Democrat politburo even used it to fundraise!!! That being said, there were a couple of interesting developments over the weekend. You can learn more about Celia Israel and the issue in question here. Finally, one personal note: We didn't think about it until we started writing this post, but we actually first heard Don say something along these lines back in 2013 during the school bond campaign. The second woe is past. Behold, the third woe is coming quickly." 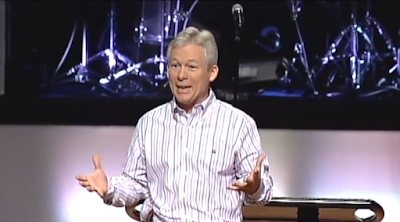 A Temple and Two Witnesses, Part 2 - Dr, Danny Forshee - February 8, 2015 from Great Hills Baptist Church on Vimeo. The prophets are hated because of their message. God will protect you, He will spare you, until He's finished with you; [properly understood] when you're walking with God, you're invincible. John presupposes thorough understanding of the Old Testament. Don't mess with these prophets of God. First introduction to the antichrist. 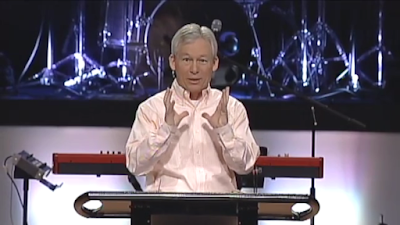 "Whenever the Bible calls you Sodom, that is NOT a compliment." Will not be blessed at the end." We'll set aside the discussion of transit vs. roads for another day; we want to focus on the underlying veracity of Adler's claim. Adler's bond has nothing related to rail. Rail was actually the subject of substantial political wrangling last week, but the rail advocates lost that round. No "increase in access to public transit" there. Buses, of course, are controlled by CapMetro. Council and the Mayor have no jurisdiction there. No "increase in access to public transit" there. We suspect that, if cornered, Adler would refer to the "dedicated transit lanes" in the corridor plans. But dedicated lanes don't increase access to anything. At best, assuming you take the city's claims at face value, they might make the public transportation system more efficient at some vaguely defined point down the road. Austin voters, who already had some weighty decisions to make Nov. 8, will now have a $720 million question to answer as well. 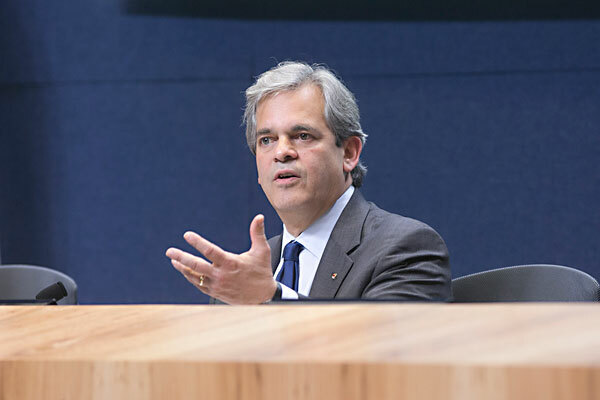 An unexpectedly divided Austin City Council gave final approval Thursday to Mayor Steve Adler’s “go big” transportation bond proposition, a mixture of improvements to major city arterial streets; bikeway, sidewalk, trail and transit expansions citywide; and suburban highway projects. What had been an 11-0 preliminary vote a week ago fell to 7-1-3 Thursday, with some council members raising concerns about the ballot language, tax impact and even the rushed process that led to the huge bond proposition. Council Members Delia Garza, Ellen Troxclair and Don Zimmerman, for various reasons, abstained. If Austin voters OK the all-or-nothing package, which is five times larger than any transportation bond ever approved in the city, the city property tax by about 2020 would increase by around $56 a year on a $250,000 home. The council, in giving third-reading approval to an ordinance calling the bond election, also agreed on the specific and lengthy ballot language. Voters will see a single sentence, about 150 words long, that names nine major roads that would be reworked to include alternative transportation modes. The ballot will also name highways that would be expanded and city streets designated for repairs. That language, however, will not include a specific estimate of what the property tax effect will be for an average home owner. The council last week, on a preliminary 6-5 vote, had said it wanted such wording. But after an executive session Thursday morning, the council emerged and voted 7-4 against including that provision on the ballot, doing so on the advice of the city attorney. Zimmerman, Troxclair, Garza and Houston were in the minority on that vote. 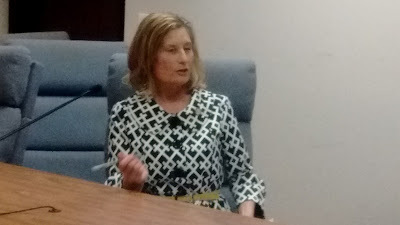 Assistant City Attorney Leela Fireside in last week’s open session had told the council that if the tax impact of the bond borrowing over time approached what appears on the ballot, that could limit spending under the bond to some amount lower than $720 million. She recommended against including such language. That advice continued in Thursday’s closed session, an incensed Zimmerman said. He left the backstage meeting early. The real shame here is that some components of this package have merit. But they've been shoved into an enormous, complicated amalgamation. And if you have any faith in the city of Austin's ability to execute this in anything remotely resembling a competent or timely manner, we have mineral rights in South Texas we'd love to sell you. Break the bundled proposal into its component parts, giving voters several smaller/ simpler propositions from which to choose. Delivering a credible and detailed plan for how the city would execute this plan if the voters say yes. Unfortunately, Adler did neither of these things. And that's before we review the actual ballot language; if that's not legally binding, that's a whole separate can of worms. Kudos to Zimmerman, Troxclair, Houston, and Garza for not walking this plank; it doesn't take a genius to see a coalition. Bottom Line: Bond packages are usually unanimous. For Adler to lose four votes on the dais is pathetic. Then again, considering the aloof presumption with which Adler has conducted himself throughout this process, it isn't surprising. Read the Ken Paxton Op-Ed the Statesman wouldn't publish!!! I learned a long time ago that politics can be a tough business. But if your opponents are forced to concoct misleading attacks, you’re probably doing something right. It’s obvious from the Editorial Board’s most recent opinion piece they are still seething that the people of Texas elected a conservative as Attorney General. They’re even more upset that I’m actually fulfilling my campaign promise to protect our constitutional rights and liberties, however untrendy that may be with the Austin press corps. When I took my oath of office, I swore to “preserve, protect, and defend the Constitution and laws of the United States and of this State, so help me God.” I take this oath seriously and work diligently to uphold this pact between myself and the people of Texas, no matter the sentiment among those critical of my leadership. As the paper pointed out, there are allegations against me. These unfounded charges are, at their core, politically motivated. Even the Editorial Board grudgingly concedes the allegations don’t equate to guilt and I deserve my day in court – where I will prevail. I’ll be sure to put their note on top of the stacks of news clips generated by the paper against former House Majority Leader Tom DeLay and former Governor Rick Perry. The innocence of these two honorable public servants didn’t preclude the paper from its decade-long journalistic campaign as the propaganda arm of the political left. Sadly, the complete exoneration of these Republican leaders didn’t seem to generate the same level of coverage as the politically motivated attacks and endless news coverage against them. I will not let these absurd charges, however, distract me from my responsibilities to the people of Texas. As Attorney General, I am fighting to protect our constitutional rights and liberties at every turn. I’m working diligently to prevent infringement on those rights in all our communities across Texas. The Statesman Editorial Board criticizes my defense of the 2nd Amendment rights of Texans and enforcement of the laws passed by the Texas Legislature. The Editorial Board’s position is outrageous and, in fact, dangerous. They are not saying that the open carry laws passed by the Texas Legislature are somehow legally invalid. Instead, they contend that because they do not like a law that was enacted by an overwhelming majority of the elected representatives of the people of Texas, that law should not be enforced. Not overturned, not protested, but ignored. You don’t often see an American newspaper speak out against democracy, but the Statesmen is doing so here. The Editorial Board also attempts to hoodwink its readers by suggesting that enforcing state law somehow depletes precious legal resources from state coffers. In setting their objectivity aside, the paper hides a key fact. Under my leadership, the Office of Attorney General has generated tens of millions of dollars in new revenue to the state’s coffers. They don’t want you to know this information because they would have to concede that I have been and continue to be an effective Attorney General on behalf of Texas. The paper also chose to omit the most significant defeat handed to the Obama Administration by the United States Supreme Court, a defeat secured by my office. We led a coalition of 26 states in a legal challenge to President Obama’s executive amnesty on illegal immigration. We went to the highest court in the land to force the Obama Administration to recognize that Congress, not the President, makes our laws. This was one of the most important cases to come before the Supreme Court in recent history because the fundamental issues in question are at the core of the Constitution. If the Supreme Court had allowed President Obama to prevail, think about what could happen with a future president? What if he or she decides to take away our gun rights through executive action, or tells churches they can no longer be tax exempt because their conscience is at odds with the federal government, or punishes liberty minded individuals for speaking the truth? Thankfully, we prevailed on this landmark legal case and I will continue to fight for our liberty and the constitutional principles upon which our Founding Fathers stood. In another critical legal battle omitted by the paper, the Obama Administration is threatening the Medicaid programs of the states if they refuse to pay an unconstitutional tax that would cost Texas over $120 million annually. I’m fighting back against this legal extortion and have no intention of allowing it to happen on my watch. My office also won a unanimous decision in the Texas Supreme Court in a tax dispute that will save the people of Texas over $4 billion. My office has also set records with regard to online predator sting operations, human-trafficking arrests and fugitive apprehensions. I am very proud that our Child Support Division remains the top performing child support program in the country and leads the nation in cost effectiveness, collecting almost $4 billion last year. Several months ago, we made several open records requests related to UT's 'venture' fund. The system was actually quite responsive to two of them. We just reviewed third party correspondence related to the third. 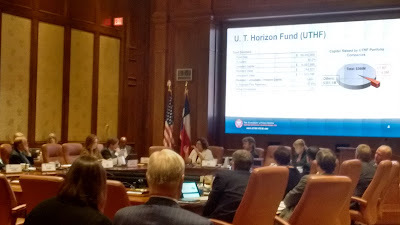 On June 2nd, we requested "[a]ll communication between the UT-Horizon fund and any member of the Board of Regents over the past seven years." Shortly thereafter, the system turned over a tranche of materials while kicking part of the request over to the Attorney General's office. As part of that process, two Horizon fund grantees have filed requests to withhold information with the A.G.'s office. This begs the natural follow up question: On what planet is it acceptable for a private entity into which a public entity has 'invested' public funds to withhold information about those 'investments' from the public in the name of protecting proprietary information?!? If you want to protect proprietary information (which is understandable), don't take seed funding from a governmental entity. Bottom Line: It might be technically legal, but it isn't right. "For God has not given us a spirit of fear, but of power and of love and of a sound mind.."
When did this become a controversial statement?!? 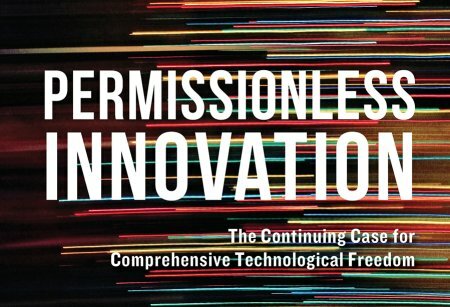 Permissionless Innovation, by Adam Thierer, is an academic investigation of regulatory issues related to technological modernization. The book argues that attempts to regulate new technologies end up stifling efforts to make life simpler and cheaper. While we found the academic approach frustratingly slow, that approach is appropriate when explaining these issues to newbs to those who haven't considered them in depth. Thierer distinguishes between two approaches to regulation: 'permissionless' vs. 'precautionary.' The permissionless approach gives "entrepreneurs...a clear green light from policymakers that signals a general acceptance of risk taking -- especially risk taking that challenges existing business models and traditional ways of doing things (10)." By contrast, a precautionary approach entails asking "mother may I" from some political authority and accounting for every possible contingency that might arise before experimentation can proceed. This discussion has consequences across the economy. While issues like ridesharing and short-term rentals have forced the question, they're not limited to what we have historically thought of as the 'tech' industry. The internet is hardly the last platform for innovation (16). As Theirer explains, "the world of atoms and physical things -- is primed for the same sort revolution that the world of bits -- the information economy -- has undergone over the past two decades" (16). 3-D printing and commercial drones are the first two examples that spring to mind. As a veteran of the Austin City Council's strange technophobia, we were struck by this sentence: "if harms do arise, consider whether existing laws and regulations are sufficient to address them, before assuming that new rules are required (109)." In other words, if you really want to crack down on 'party houses' it might be advisable to enforce the noise ordinance that was already on the books before banning an entire industry. As to the Uber/Lyft discussion, the notion that "[p]olicymakers should relax old rules on incumbents as new entrants and new technologies challenge the status quo (112)" speaks for itself. From a political perspective, Permissionless Innovation is about pitching to persuades. As such, there were times when it belabors certain points we consider obvious. Still, for the intended audience, this is a robust discussion that will get them up to speed in a way that moves the ball forward. Last Friday, the Statesman published a report on the financial state of UT athletics that won't surprise anyone familiar with how that institution treats money. Still, even by UT standards, a few aspects stood out. Yes, Texas takes in eye-popping revenues, but the department also racks up incredible expenses — almost $30 million more than anyone else. And how, pray tell, do they rack up expenses on that level?!? About one-quarter of the athletic department’s 318-person staff makes more than $100,000 annually. Where does all of UT’s money go? 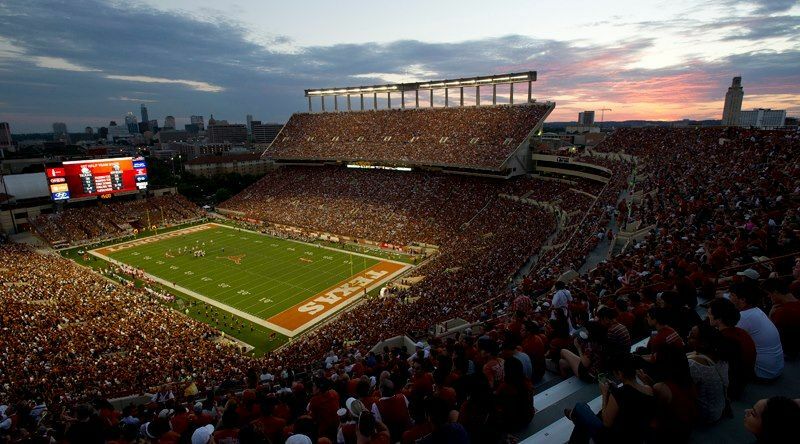 Before a single athlete stepped on the field, UT owed $25.7 million in debt service and facility rental payments, according to audited figures. Former athletic director DeLoss Dodds financed the expansion of Royal-Memorial Stadium through long-term debt; UT athletics still owes $218 million in debt payments through 2044. Literal, physical temple rebuilt in Jerusalem. "If there is a mist in the pulpit, there will be a fog in the pews." 2 guys preaching in Jerusalem for 3.5 years who will perform visible miracles. You need to understand Daniel to understand Revelation. The reason you don't hear this is because preachers don't preach the Bible anymore. 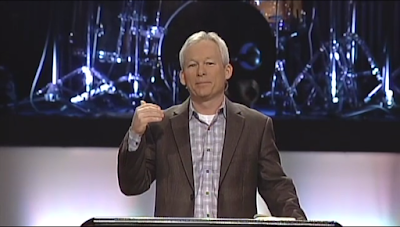 "When you preach the scriptures, you are going to be unpopular." People used to laugh at the idea of modern Israel existing as a nation. Travis County DA attempting to revivie the "Public Integrity" Unit?!? Most recently, [Democrat candidate Margaret] Moore has offered a position to a state District Judge Don Clemmer, who she describes as bipartisan, to take over the office’s special prosecutions division, which houses the Public Integrity Unit. Clemmer has worked at the Texas attorney general’s office and as deputy general counsel for the governor’s office. Moore said the appointment will help as she tries to convince state lawmakers to add funding to the Public Integrity Unit when the legislative session begins in January. The unit has statewide jurisdiction and prosecutes state officials on ethics violations and other official misconduct. “Judge Clemmer will be working with me toward that goal,” Moore said. 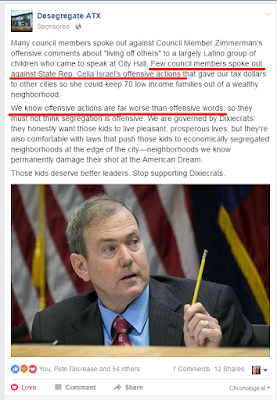 Soo...the Democrat machine in Travis County hasn't given up on the 'public integrity' unit?!? That, by itself, is interesting. Next up: who, pray tell, is Don Clemmer?!? It turns out Don Clemmer is a currently serving nominally 'Republican' Travis County district judge who was appointed by Governor Abbott to fill a vacancy last fall. Technically, Clemmer is on the ballot this fall. The seriousness with which he's campaigning is revealed in the fact that we've literally never seen him at a Republican party event and had never even heard of him before we'd read this article. 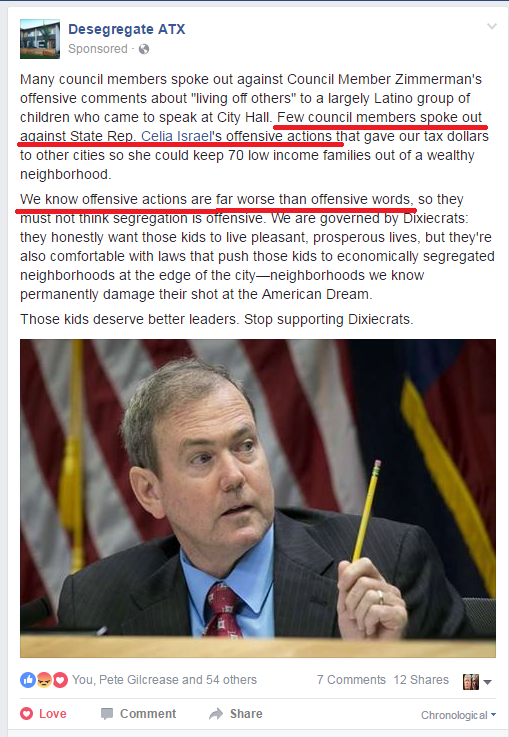 In other words, Don Clemmer is about as Republican as Joe Straus. Which means he would be the perfect vehicle for the business as usual crowd at the Capitol to run this play. This sort of move would probably be DOA in the Senate, but it would be a lot better if it never got there in the first place. Of course, the easiest way to prevent these sorts of shenanigans would be to elect the Republican candidate Maura Phelan. Maura really is fantastic and she might be the one Republican candidate worth voting for this fall. You can learn more about Maura Phelan here. "Do they not go astray who devise evil? But mercy and truth belong to those who devise good." The most powerful man at Austin’s City Hall, Marc Ott, is out — leaving his post overseeing the municipal bureaucracy for a prestigious job running a Washington D.C. association. Ott’s announcement Friday came more than a month after he told the City Council he was a finalist for the executive director position with the International City/County Management Association, which advocates and lobbies for local governments and their managers. He will start at the post Oct. 31. Ott’s decision to leave comes just a month after the City Council gave him a $22,000 raise, bumping his pay and benefits to $361,000 annually. His predecessor at the ICCMA made $478,000 in 2013, the group’s tax returns show. We'll have more to say about his replacement as appropriate as the process unfolds, but our initial two cents is that this is probably a case where turnover for the sake of turnover is a good thing regardless of who replaces him. Can the #ATXCouncil Transportation Bond be salvaged?!? Let's start by stating the obvious: This bond package took several steps backwards over the summer. This is disappointing, though it's not surprising. We've been torn since this discussion began. We don't hate the underlying concept behind 'smart corridors.' Doing things like getting buses out of traffic when they're making stops and improving signal timing make a certain amount of sense (at a certain cost). In general, we like using technology to create new efficiencies. The problem is that the city's transportation department can't implement this proposal in anything resembling a competent or timely manner. That's why we testified (twice) back in June that we wanted to see the city present a "credible plan for execution" when they came back in August. In other words, we wanted to see how they would get from point A to point B. Six weeks later...they won't even commit to a firm location for point B. There literally isn't even a specific list of project to which they're committing. There's a phase for that: BLANK CHECK (and a $720 million one at that). According to certain scuttlebutt, there's going to be an effort tonight to use amendments on the dais to reign in the proposal; consider us skeptical. Bottom Line: We cannot support this bond in its current form; while we'd love to be pleasantly surprised, for Council to improve it sufficiently enough at tonight's meeting to merit support seems like a tall order. But the mouth of fools feeds on foolishness." WASHINGTON -- Critics of Sen. Ted Cruz, still steaming from his Republican convention speech in which he refused to endorse Donald Trump, are now urging another high-profile Texas Republican to challenge him in the 2018 Senate primary. Some Republican donors and Texas politicians are working behind the scenes to build an intraparty challenge for Cruz and have zeroed in on Rep. Michael McCaul as a potential candidate, according to a new report from CNN. McCaul has not yet ruled out the possibility of a run, according to the report, but the Austin Republican has also not seriously considered it. A spokesman for McCaul, Walter Zaykowski, would say only that the congressman is focused on the November’s election and his role as chairman of the House Homeland Security Committee. 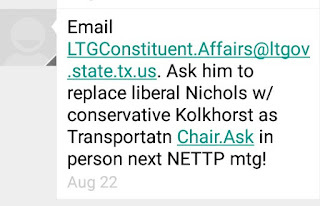 Because his district includes northeastern Travis County, we've been familiar with McCaul for several years. That being said, in four and a half years and almost 2500 posts worth of blogging, we think the most revealing statistic is that we've never said a word about him. He's literally been that irrelevant. In other words, Michael McCaul is the poster child for privilege and wealth obtained through social connections not merit. But perhaps you'd rather talk about policy. McCaul's been a mediocre congressman and there's plenty we pick apart in his record if the need arises, but one aspect stands out. Republicans aren't going to shut down the government over President Barack Obama's immigration order, House Homeland Security Chairman Michael McCaul said Sunday, "but we are going to shut down this president and his actions." In other words, when Ted Cruz was leading the fight to defund Obama's executive amnesty, Michael McCaul was running interference for leadership. And, if necessary, there's plenty more where that came from. Bottom Line: If the Trumpkins want to run a guy who married his money and greased the skids for Obama's executive amnesty against Ted Cruz, they are welcome to try. Hill County’s attorney is using procedural tactics to delay the release of public records related to vast irregularities uncovered in the March primary. A private investigation revealed that nearly 1,800 votes appear to have been illegally cast in the election. With election officials unable to account for the discrepancy, the Secretary of State formally requested a criminal investigation by the Attorney General’s office. In the wake of the controversy, Hill County’s Election Administrator resigned. Now, the county’s lawyer, David Holmes, is unnecessarily delaying open records requests submitted by Direct Action Texas (DAT). I hereby request copies of any and all Applications for Ballot by Mail (ABBM) and Carrier Envelopes for the 2016 Primary Election held this past March 1st. This would include any and all ABBM’s submitted to Hill County Elections, including duplicates and rejected ABBM’s. I do understand that annuals and certain information, like email addresses if provided, may need to be redacted. By this email I hereby request that this information be promptly produced. Wherever possible please provide it in digital format, whether that be email, CD, or thumb drive. I appreciate your prompt attention to this request. "We would like to have a bigger family, unfortunately...I don't know how we will ever [afford] more children without this house." Lots of corruption and political allocation of capital in Lebanon: "One of the reasons I came to the U.S....was to get away from that political system." Is something toxic brewing in South Texas?! ?